At the same time as the game’s invention, the offside rule was invented. Still not completely understood by a number of people within football, its initial aim was to ensure that attackers didn’t gain an unfair advantage by being able to stay in the opposition’s half and wait for a hopeful long ball to pounce on. It was most recently tweaked eight years ago. Created almost 100 years after the offside rule was first devised, it has rarely been breached in recent years. How it works is that defenders cannot pass or throw the ball back to their goalkeeper if they catch it while airborne (unless it has bounced on the ground beforehand). 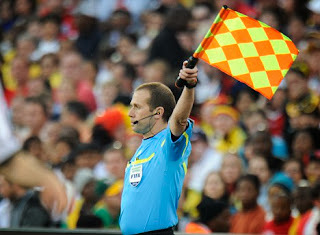 In a way, it complements the offside rule, introducing an element of fairness to the game. Back in the 1980s, they were used sparingly due to doubts about their quality, but as time and technology have moved on, the quality of artificial grass pitches has become so high that they are now in use in many European countries where cold winters are common. In the early 90s, a report into the safety of football grounds was written. The findings said that all football venues for full-time clubs in England, Scotland and Wales should either convert their terraces into seating or move into an all-purpose new ground where there is no terracing. All-seater grounds are typically safer and more comfortable, and they’re more family-friendly too.